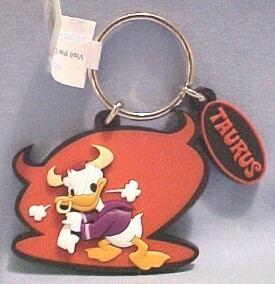 Donald Duck on Disney's Taurus Keychain. Donald Duck on Disney's Taurus keychain.. Wallpaper and background images in the Keychains club tagged: donald duck taurus disney zodiac keychain keyring. He's quackers but then so am i lol ! Quack, quack! Me too! lol!